“Red” is the color of celebration at birthdays and weddings. https://www.adelineyenmah.com/wp-content/uploads/2019/03/adeline_thum.jpg 300 300 Adeline /wp-content/uploads/2019/03/Adeline-Yen-Mah.png Adeline2011-08-29 12:30:092019-03-15 07:24:24"Red"
When the word 们 is placed after a noun or a personal pronoun, it makes that noun or personal pronoun plural. 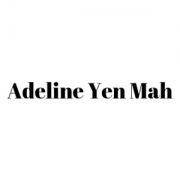 https://www.adelineyenmah.com/wp-content/uploads/2011/08/1.jpg 200 200 Adeline /wp-content/uploads/2019/03/Adeline-Yen-Mah.png Adeline2011-08-22 12:30:392019-03-15 07:31:24"们 mén "
During Chinese New Year, children are given lucky red envelopes containing money. https://www.adelineyenmah.com/wp-content/uploads/2019/03/adeline_thum.jpg 300 300 Adeline /wp-content/uploads/2019/03/Adeline-Yen-Mah.png Adeline2011-08-15 12:30:422019-03-15 07:24:25Red Envelopes!! The baby’s forehead is rubbed with a red egg and a bit of his hair is cut off and saved by his mother. Eggs are dyed red and given to friends and relatives at a banquet.